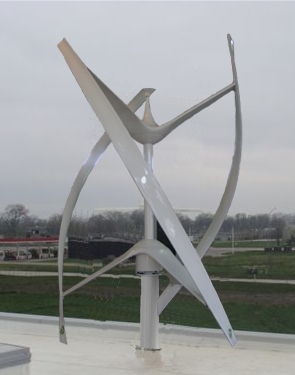 We are proud to distribute the 4KW Second Generation Vertical Axis Wind Turbines from Urban Green Energy (UGE). 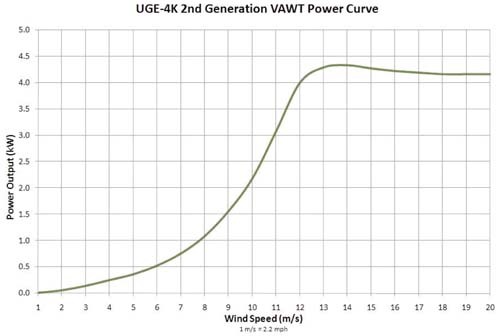 With the UGE-4KW 2G, you can make your own choice to ensure your energy is provided by 100% clean, renewable energy. Whisper quiet, the UGE-4KW 2G can be installed on a tower or on a roof. This turbine is not only amazingly efficient, but offers sculptural qualities to actually enhance the aesthetics of a roof line. The unit is offered in white, charcoal and titanium to compliment existing design schemes. 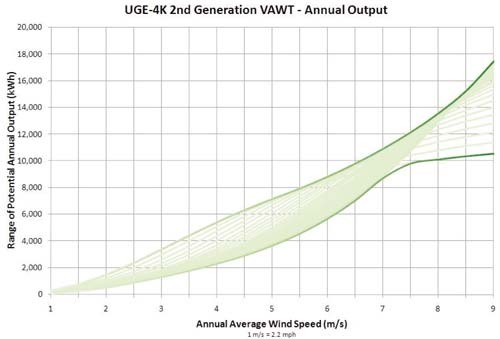 The UGE-4KW 2G is engineered to comfortably power an average American home when the average wind speed is just over 10 mph (16 km/h). Grid-tie functionality means that when you generate more electricity than being used, the excess power feeds into the grid. When your wind turbine is not producing enough electricity for the property’s demand, the grid will automatically provide the required electricity. We can install multiple wind turbines to generate the needed power level for a property. Backup is available as an option.